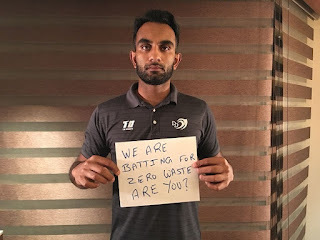 Delhi Daredevils, the Indian Premier League team (“the team”), today announced a ‘Zero Waste’ initiative to support sustainable waste management for all the home matches at Feroz Shah Kotla Stadium. The initiative is aimed at promoting segregation of the waste at source and developing capacities inside and outside the stadium for proper waste segregation. This collaborative initiative is being facilitated by Coca-Cola India and implemented by Ramky Waste Management Group. As part of this initiative, separate bins will be installed across stands in the stadium and fans will be encouraged to use the right bin for trash disposal. Further, a trained team will ensure the collected waste is sent for proper recycling.